There are many programs or sentencing alternatives available to a person who has been convicted of a criminal offense. Frankly, there are new ones that become available almost every day. 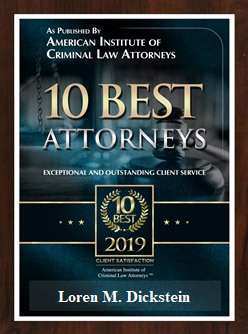 It is important that you have an experienced criminal defense attorney help you because a part-time defense attorney may not be aware of the alternatives and how (or if) you qualify for them. Also, there could be a program that is available in another state that is working its way to Michigan that an attorney should know about to educate the judge that this is a great program and the court may want to think about using or starting it. Changing Lives Through Literature began in Massachusetts in response to a growing need for alternatives to incarceration. Prisons are burdened by expense and repeat offenders, and they can rarely give adequate attention to the needs of inmates and, thus, do little else than warehouse criminals. In 1991, the first program started at the University of Massachusetts. Eight men were sentenced to probation instead of prison, with a stipulation: they had to complete a Modern American Literature seminar. The seminar was held on the university campus and included the professor, judge and probation officer that founded the program. For 12 weeks, the men, many of whom had not graduated from high school and who had among them 148 convictions for crimes such as armed robbery and theft, met at the university. As they discussed books, such as James Dickey’s Deliverance and Jack London’s Sea Wolf, the men began to investigate and explore aspects of themselves, to listen to their peers, to increase their ability to communicate ideas and feelings to men of authority who they thought would never listen to them, and to engage in dialogue in a classroom where all ideas were valid. Instead of seeing their world from one angle, they began opening up to new perspectives and started realizing that they had choices in life. 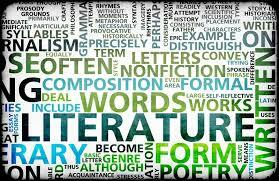 Literature became a road to insight. In 1992, a women’s program was added. By the summer of 1993, 40 men had completed the program with negligible repeat offenders. It is important that you have an experienced criminal defense attorney with you at all times, but especially when you are facing sentencing. In many cases there is a recommendation for a sentence and conditions from the probation department that the judge will review. This recommendation may, or may not, be favorable to you. The important thing to remember is that this report is just a recommendation. The judge is under no duty to follow it. 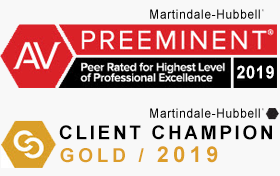 You need to have an attorney that can skillfully and successfully argue to the court that the recommendation is good so adopt it OR that the recommendation is bad and here is why. Being able to successfully make those arguments takes experienced and skillful advocacy. 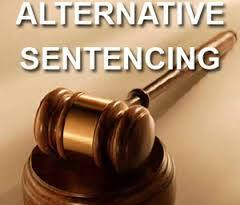 Also, you need to have an attorney that is aware of any sentencing alternatives the court may be able to use to benefit you. This also takes experience and skill to make arguments that a particular program or alternative is right for you. The attorneys at LEWIS & DICKSTEIN, P.L.L.C. have devoted their entire professional careers to representing people facing criminal offenses. Our attorneys understand that often sentencing is the most important part of a criminal case. We will take the time with you, submit appropriate documents to the court for the judge to review and stand beside you making the best argument possible to help you get the best sentence available. If you are facing criminal charges, wonder about sentencing alternatives or just have questions, please call LEWIS & DICKSTEIN, P.L.L.C. at (248) 263-6800 or complete a Request for Assistance Form and one of our award winning attorneys will contact you. We look forward to helping you.